It’s probably not exactly the Great Double Stuf Oreo Controversy of 2013. We’ll be bouncing our grandchildren on our knees talking about that one. 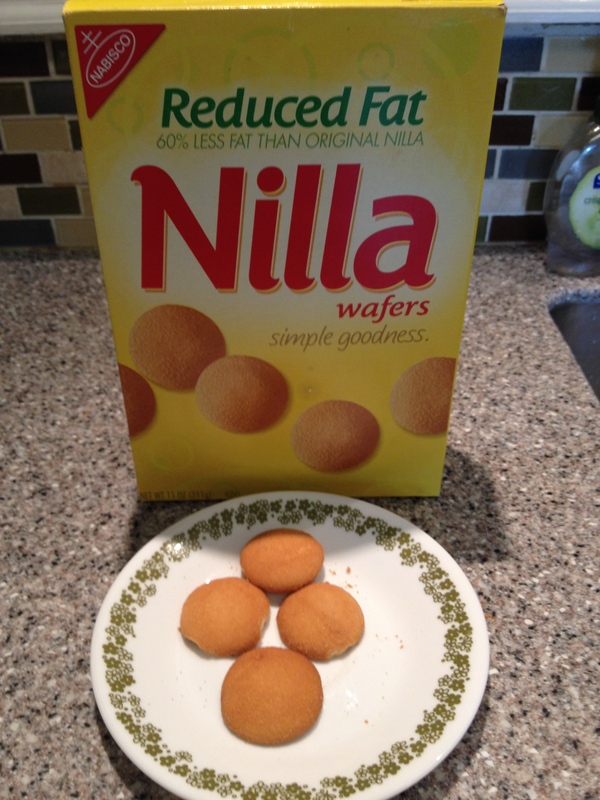 But here I am with some Reduced Fat ‘Nilla Wafers, thinking about multiplying percents and fractions. Poor stage lighting aside, I want to do something with this, but I’m sort of facing decision paralysis. There are so many great models of Problem-Based Learning or Problem Solving Tasks, it’s difficult for me to settle on one, so I’ll just go ahead and create them all and see what sticks. Would you rather eat 5 Reduced Fat Wafers or 2 original Wafers? 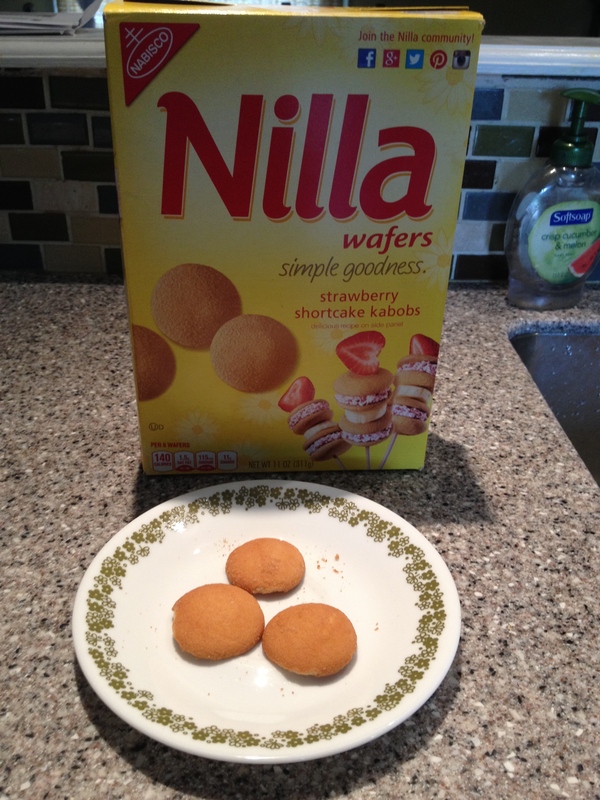 Here is a plate of original ‘Nilla Wafers. 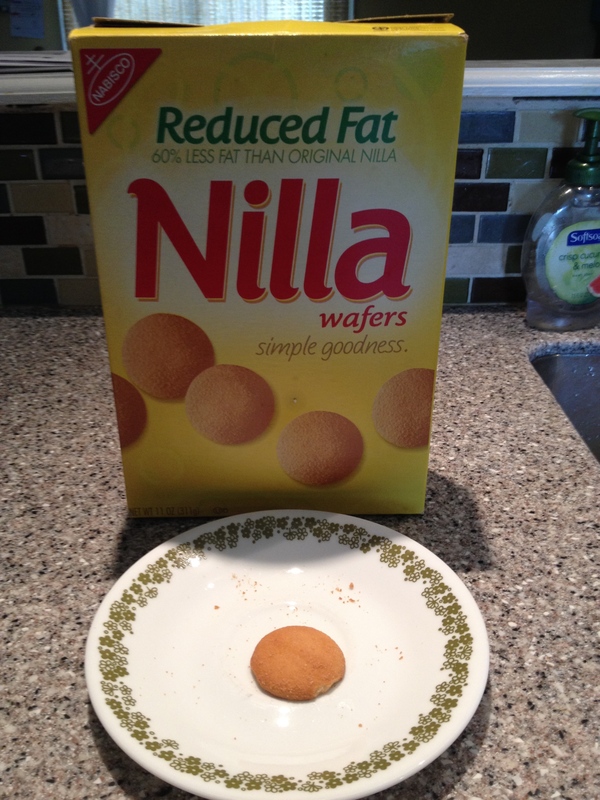 Which of these Reduced Fat ‘Nilla Wafers plates has less fat in total? 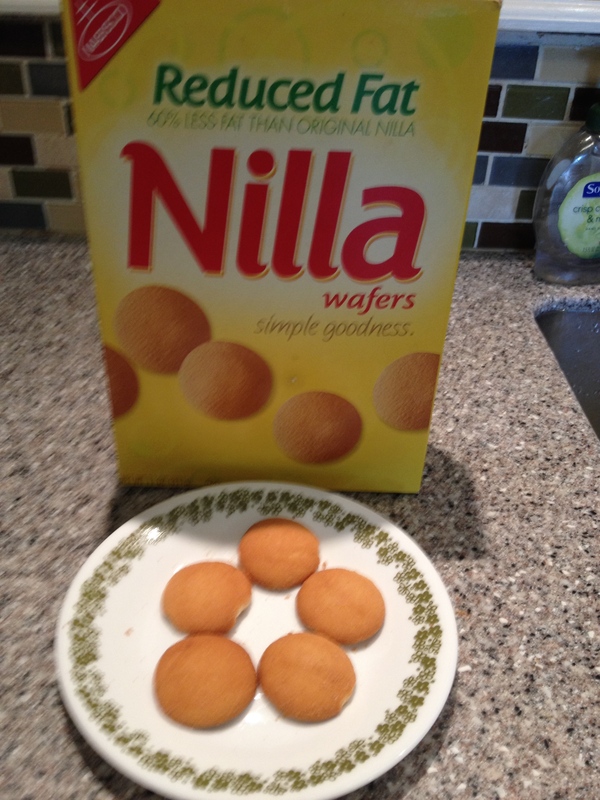 Here are a bunch of pictures of ‘Nilla Wafers (original and Reduced Fat). Make up a multiple choice question & answer key. The point is, I’ve been trying to be less myopic when it comes to PrBL. There are so many great, differentiated models of Problem-Based Learning, I think it would be silly to get sucked into one and one alone. While I do think there is power in iterative routines, such as using a relatively consistent problem solving framework, it would be silly to neglect the power of “Any Questions” or the “Know/Need-to-Know” processes. Going a bit further, the lines between the task vs. the scaffolding vs. the assessment are probably best when blurred. 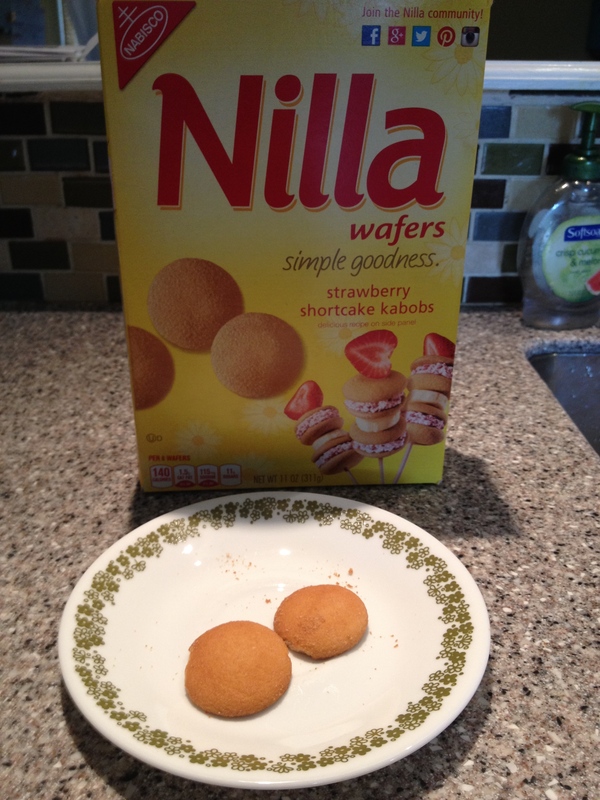 Considering just these wafers, we could probably place them in any of these three slots. But alas, here I am, back to my decision paralysis. I suppose it’s a good problem to have. Previous Entry:Larry Ellison, billionaire CEO, makes unsound business decisions with regards to his basketball playing on his yacht. Are the low fat ones the same size as the regular ones? What is a unit of fat, and does the size of the unit matter? Are you aiming for a quantitative interest in the subject, or wanting to push the problem towards a specific method? in other words, Have you decided that this WILL be about fractions, etc.? What if Johnny says – “Let’s say that the regulars have 100 units of fat each, then the reduced ones have 40 each” – and reduces the problem to simple arithmetic? Also, what about the sugar content? Unless we are in the Splenda Zone. Finally, half of 12 is 6 and one third of 6 is 2, so one third of one half of 12 is 2, which is one sixth. So one third times one half is one sixth, and not just of 12 !!! A really interesting question here would be to not only compare fat grams but also compare calories. 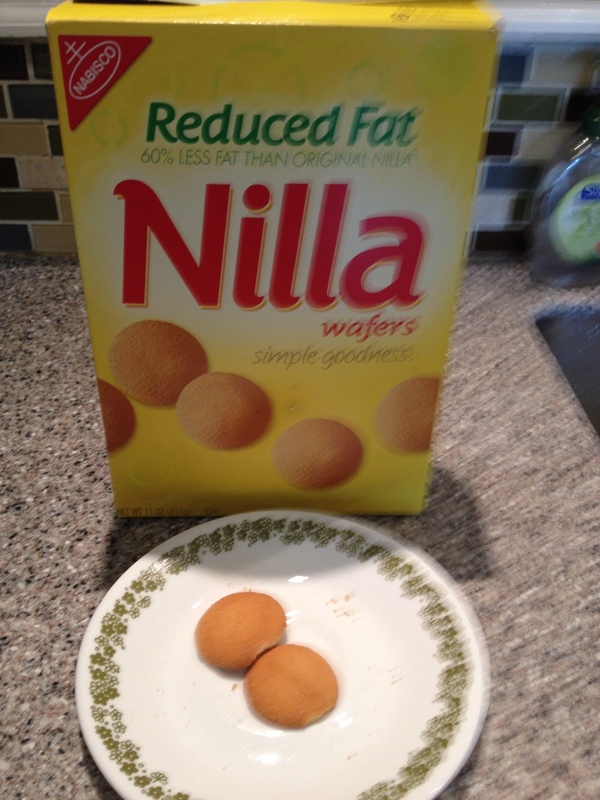 If I remember correctly (I looked at these reduced fat and regular fat wafers recently), the reduced fat wafers actually are higher in calories than the full-fat version. You could have rather intriguing comparisons and arguments if you compare the gain/reduction of calories and fat grams and vice versa.